Winter is finally here in Virginia! After a record-breaking warm Christmas of almost 80 degrees, the cold weather is here. Now bring on the snow! But before we have snow, let's make sure everyone has mittens! 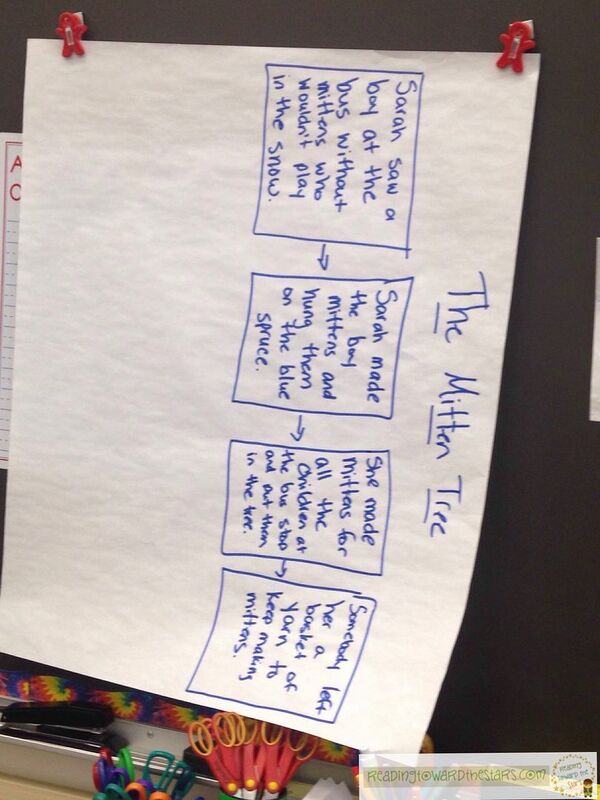 This week with my second graders, we worked on sequencing the MAIN events of the story, not the entire story. 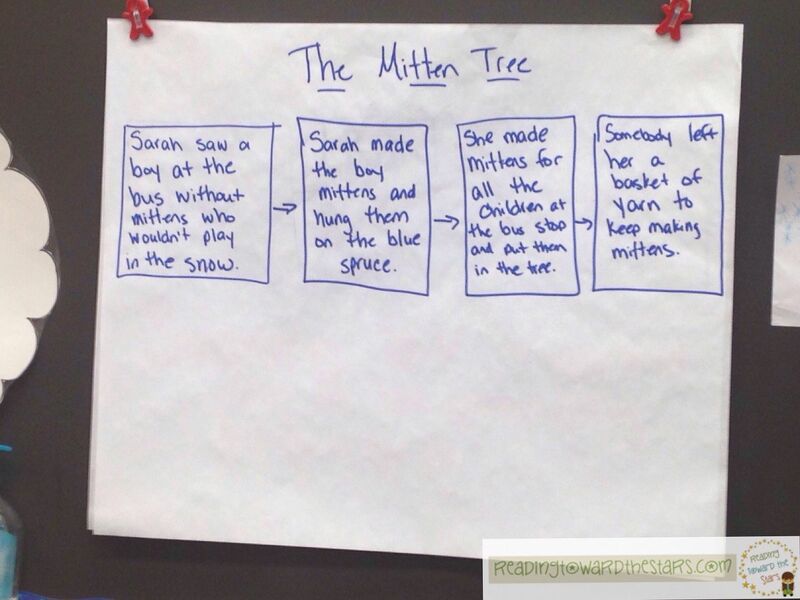 I used the book The Mitten Tree by Candace Christiansen to help students with the concept. It was suggested by one of my go to comprehension lesson sites ReadWorks. In the book, Sarah, an older woman, watches the children each morning at the bus stop. One morning, she notices a young boy who is not playing in the snow like the other children. She stays up late to knit him some mittens and hangs them on the blue spruce tree for him. Each day she notices that other children don't have matching mittens or any mittens at all. She continues to make mittens each night and put them on the tree. It becomes a game for the children. Eventually, she runs out of yarn, but someone brings her a basket of yarn to continue making mittens. I wasn't even planning a lesson on inferences. Here is the flow map we made together. Then I turned it sideways to show them that you can look at it a different way too! It was a great way for children to see the way we could tell the story in only 4 events. Don't forget to link up again this week for Book Talk Thursday! I enjoy the winter books I learn about through your link ups! Use the button below to link up and link back to my blog.